Target, Amazon, and Beyoncé: Retailers boycotting Beyoncé's new album over iTunes exclusive. 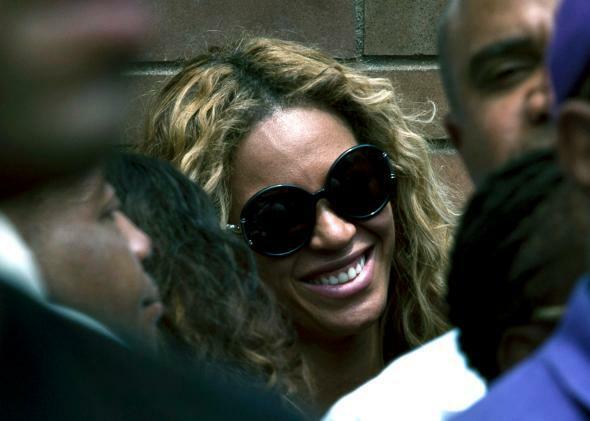 The latest twist in the saga of Beyoncé’s surprise album is that Target and Amazon have announced they won’t sell it. The move by two major retailers is retaliation for the fact that part of the secrecy surrounding the album’s release was a deal to make it an exclusive iTunes download opportunity for its first week. Of course in a simplistic sense there’s no advantage for Target and Amazon to do this. They’re simply leaving money on the table. There are people who like to shop at Target, but Beyoncé is the star. Beyoncé fans will seek out a retail outlet that carries Beyoncé—there are no “Target fans” who’ll just buy another album because Target is refusing to carry hers. The logic here is strategic deterrence. Amazon and Target want to show that they’re willing to shoot themselves in the foot to do minor damage to Beyoncé in order to dissuade other artists from signing even time-limited exclusives with Apple. Beyoncé herself is taking counter-countermeasures by showering Walmart with free publicity and Walmart customers with $50 gift cards. Still, it’s enough to make you wonder if popular music isn’t eventually going to get dragged into the “platform wars” game in a more thorough way. Especially with music sales in what looks to be some kind of structural decline, you could imagine a world in which a large share of music is subsidized by big platform players (Amazon, Apple, Google) as some kind of loss-leader.